Weldmar Hospicecare opened its Blandford Outlet at Block C, Units 6, 7 & 8, Glenmore Business Park, Blandford Forum, DT11 7FP on Wednesday 3rd May 2017. Weldmar is an established local charity, based in Dorset, with great expertise in caring for people at the end of life, whether at home, in the hospice or in their Day Centres. Weldmar’s services are free and they only receive a quarter of their funding from the NHS. This means the new outlet, like Weldmar’s existing shops and outlets, plays a vital contribution towards the charity’s running costs – and will be dependent on support from the local residents and community. 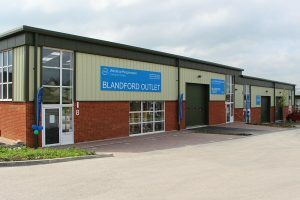 Valerie Burnham, Weldmar’s Director of Retail Operations, said “We are very excited to be opening a Weldmar Outlet in Blandford – our second retail venture in this town. 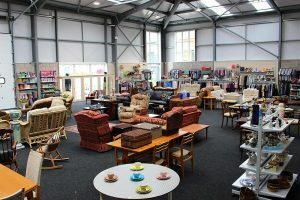 We look forward to welcoming you all as customers and donors to our latest, largest and lovely new outlet. We also need volunteers to help in the shop and anyone interested is invited to come in and talk with the manager. We will be selling a full range of products, including a large selection of furniture. Weldmar shops and outlets provide an important part of the funds required to support our work across Dorset”. Please bring your donations of clothes, shoes, accessories, jewellery, linens, household goods, books, DVDs and bric-a-brac, which can be brought to the shop. Any donations of furniture can be collected by Weldmar, free of charge, by calling the manager on 01258 488481. The outlet is now open 9am to 5pm on Monday to Saturday and 10am to 4pm on a Sunday. All profits go directly to patient care.